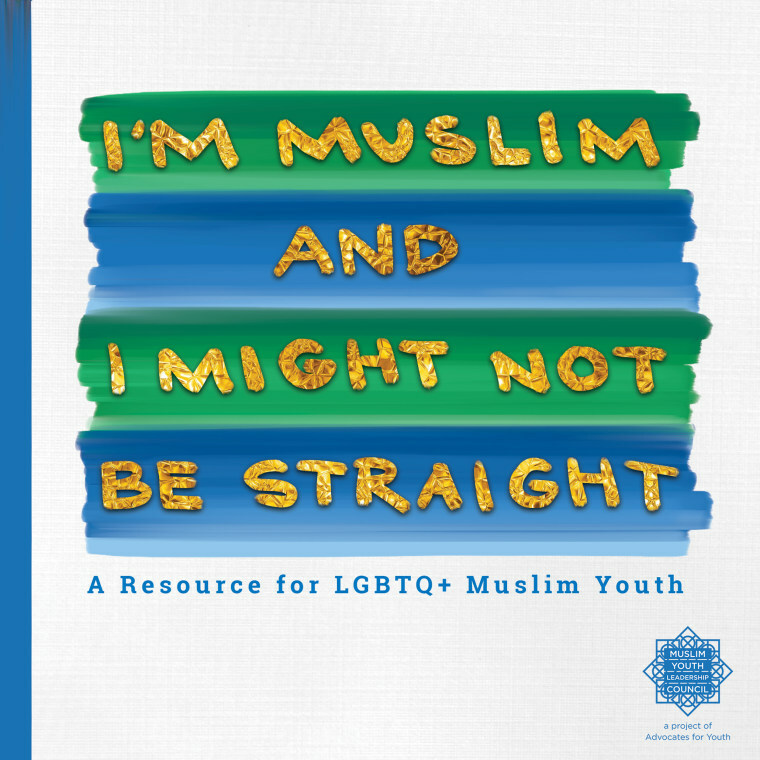 A new resource guide published Thursday by the Muslim Youth Leadership Council hopes to encourage young LGBTQ+ Muslims to share their experiences. “So many of the mainstream LGBTQ resources don’t necessary resonate with LGBTQ Muslims,” said Khadija Khan, the Muslim and International Youth Leadership Councils coordinator at Advocates for Youth. The guide, “I am Muslim and I Might Not Be Straight,” is a first for the Muslim Youth Leadership Council, which began meeting in 2017 in Washington, D.C. The meetings, members have said, were the first time most of the group ever had the chance to meet other young people who identified as both LGBTQ and Muslim. The council, which is made up of people age 16 to 24, is part of the larger nonprofit Advocates for Youth, which works to ensure that all young people have access to accurate and age-appropriate information about sexuality and sexual health. They began wondering how they could help build that sense of community for other young Muslims. Those conversations inspired the council to create the #MuslimAnd social media campaign last fall as a way for young Muslims to share their stories. Khan and a colleague began developing the guide by interviewing fellow council members about their teenage experiences and asked them to look back and suggest things they felt would have been helpful to teens like them who are currently in high school. That’s why the new brochure features extensive quotes from LGBTQ Muslims in their teens and twenties. Topics covered include consent, finding the vocabulary to describe yourself and community resources. “Often what we hear from young Muslims: First off, LGBTQ Muslims are thought to not exist,” Khan said, adding that those messages often come from Muslim family members. Meanwhile, young Muslims also face Islamophobia or a misunderstanding of Islam and its tenants about sexuality from the larger LGBTQ community. Noor Pervez was one of the young Muslims who found the Council and a larger Muslim community through the #MuslimAnd campaign. Pervez’s connection to the #MuslimAnd campaign also inspired him to help with the brochure. Growing up in Texas, “Muslim representation for youth in general and queer youth in particular were almost nonexistent,” he recalled. He hopes that the brochure will lead other young Muslims to find much needed information. Video Description: South Asian person talks while lying down on a 🥄 pattern pillow. One way allies and educators can best support the LGBTQ Muslim community is to develop an understanding that aspects of the mainstream LGBTQ experience may not be always be feasible. Khan and her colleagues found that coming out to one's parents and community members does not always work for many young Muslims, who often grow up in environments where discussions about sexuality and relationships outside of marriage are highly discouraged. “It can often further isolate young Muslims when they they think, ‘Oh, since I could never possibly come out to my parents right now that means that I can’t be queer,’ and that further invalidates their identity,” Khan said. “We want that section to affirm young people that really if you don’t tell anyone or if you tell the whole world, you are still queer and you are allowed to be that way,” she added, referring to a section of the brochure about coming out. But Khan and other activists add that the progress the community has made with regards to LGBTQ issues should be acknowledged. Fellow activist Ameera Khan, who is trans, noted that she has seen the conversation move forward extensively in just the last few years.